Efrideet stands in a burning crater, the Light of her Ghost blinking rapidly, as if to chortle, over Saladin's corpse. Saladin suddenly sits up to a hunched-over position, hands on his knees in front of him. Dust from the demolished Spider Tank around them rolls off his armor and into the blowing wind. 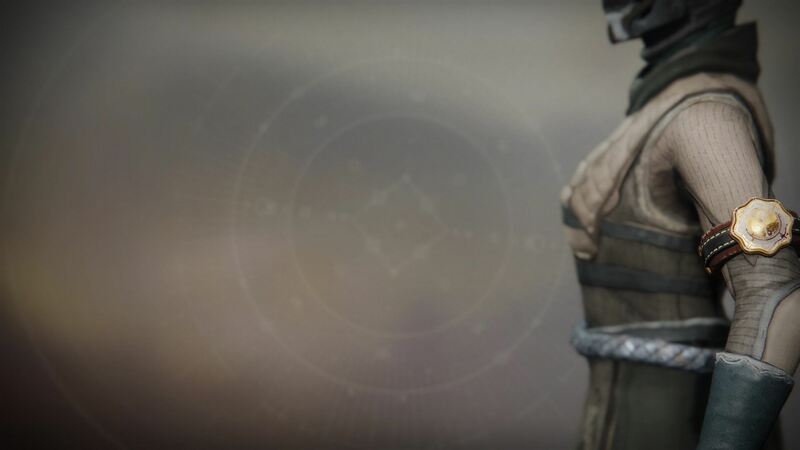 Efrideet kneels, places Saladin's Ghost in his hand, and knocks on his helmet with her knuckles. "'If you miss?' When have you ever seen me miss?" "A few stragglers made it out alive." He sits up, alarmed. "Where are they now?" She makes no move to acknowledge his fear. "They never reached the village." Saladin sits back at that. He grasps a large rock in his hand, focuses on it. "I could use someone with your drive. Your moral compass. The dragon inside you is fierce." "What if I've changed my mind? Will I get to throw you again?" The rock in his hand shatters into dust as his fist spasms. "I suppose we may run out of ammo again," he concedes through gritted teeth. "Meet us out at Dwindler's Ridge."